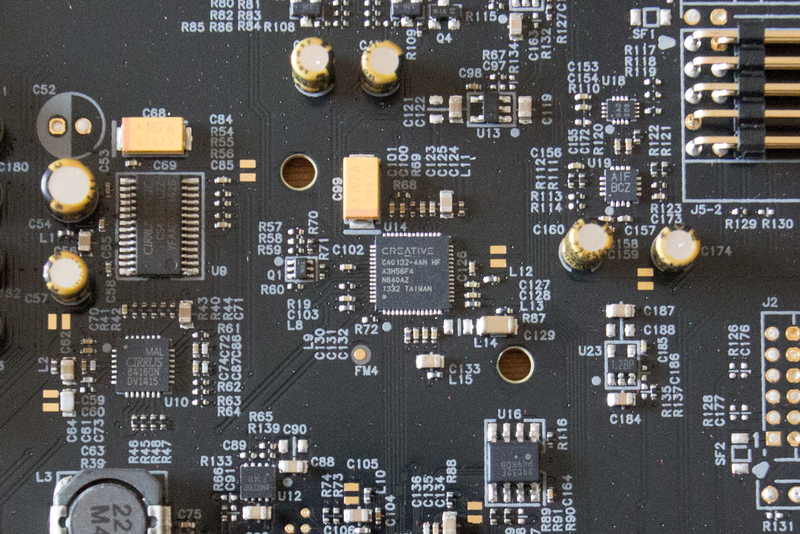 For a long time integrated solutions on mainboards already provide HD audio with a resolution of 24 bit and 96 kHz sampling frequency and often at least 5.1 surround sound. 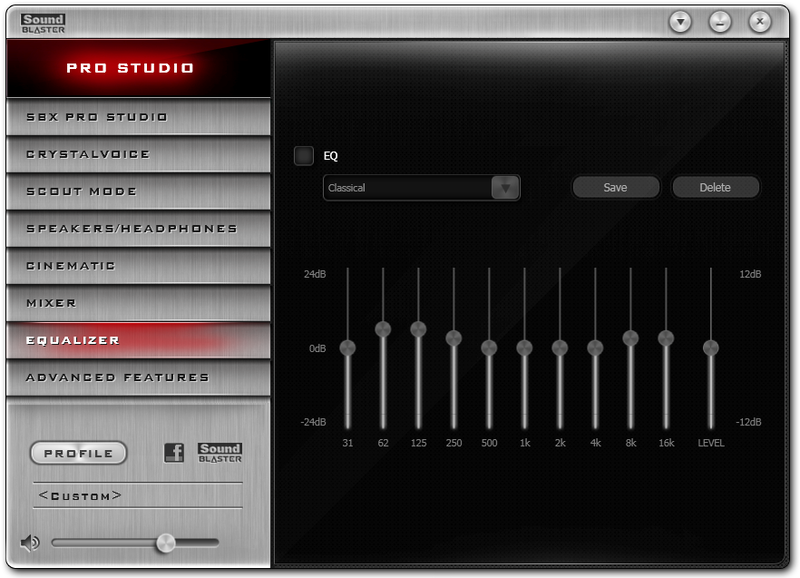 But these data don’t tell how good the sound will be at the end on the analog outputs. 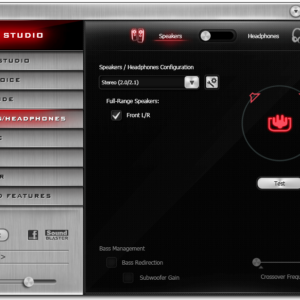 Often you have to deal with background noise or an irregular frequency response, especially compared to other devices for audio playback. 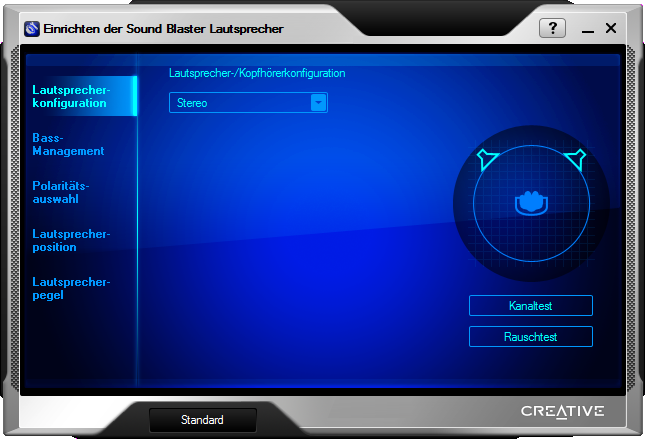 Many manufacturers use a chip by Realtek so the software is also quite simple. 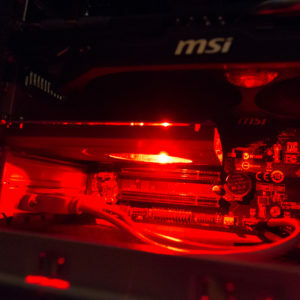 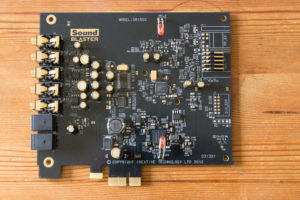 A separate sound card often provides a better sound quality, sometimes more connection possibilities and often also more possibilities on the software side. 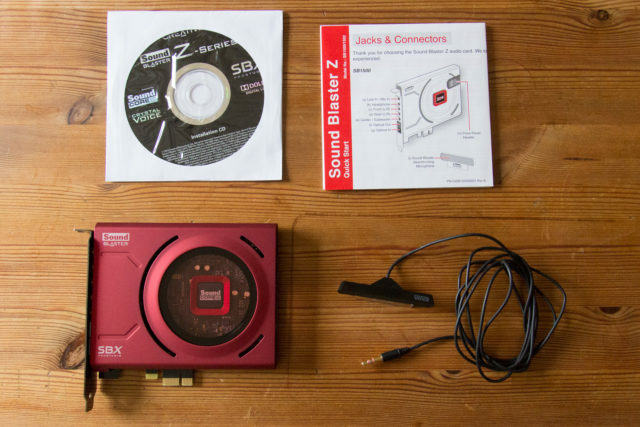 In the scope of delivery of the Creative Sound Blaster Z you will find the sound card itself, an external microphone besides software and a brief manual with a list of the connections. 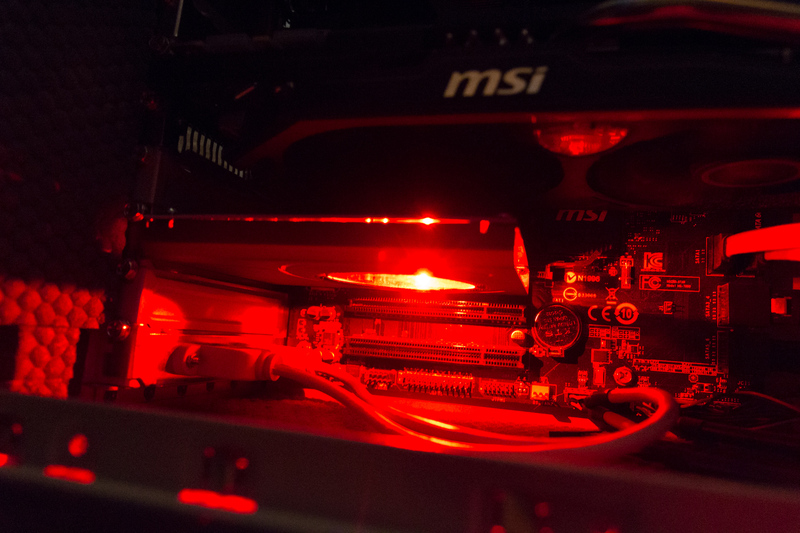 All the following pictures are also available at a larger version – just click/tap them. 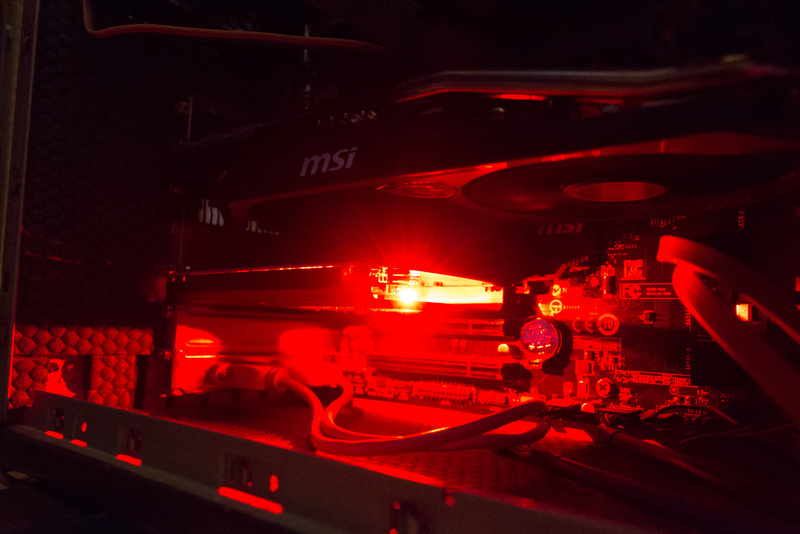 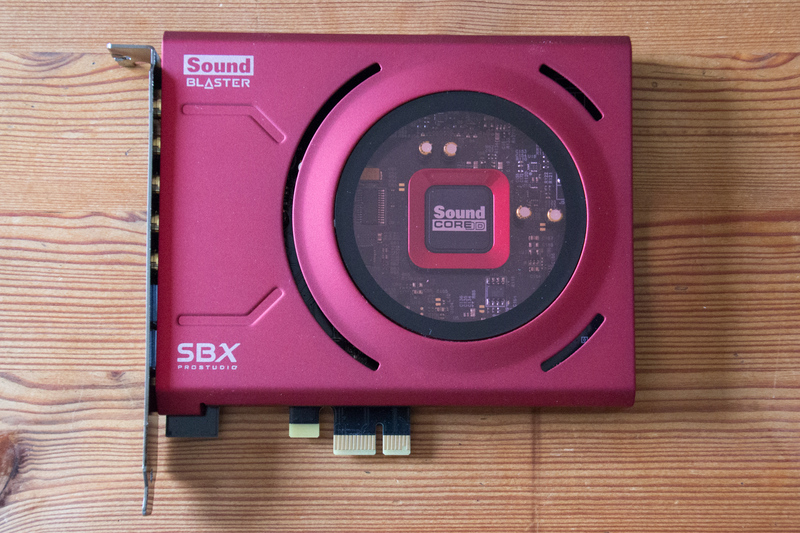 The sound card itself looks quite impressive with the red metal cover and the “Sound Core3D” block under the window. 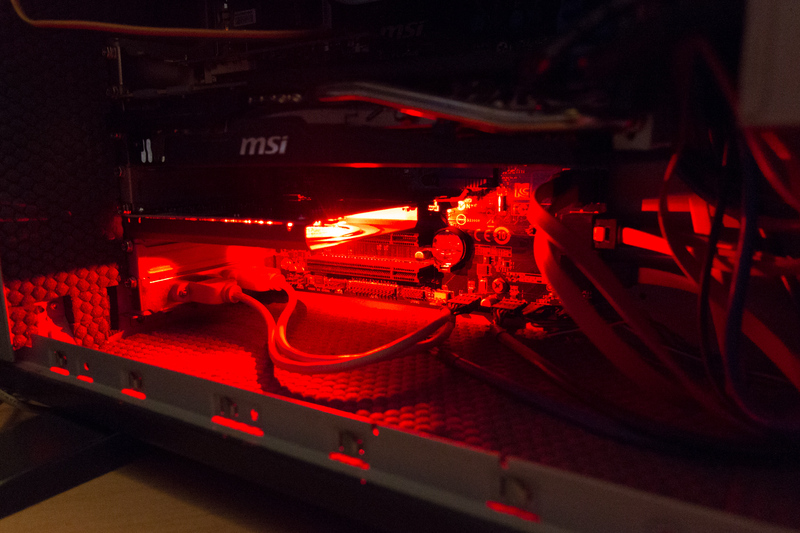 But such effort is quite common these days – eye candy is also important ;-). 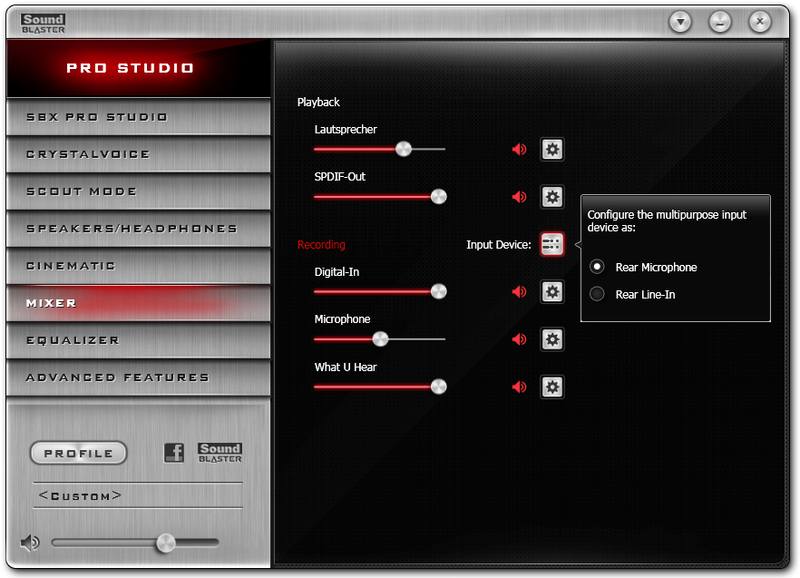 Very practical: You can leave headphones or headsets connected and change between the regular outputs or the headphones using the software. 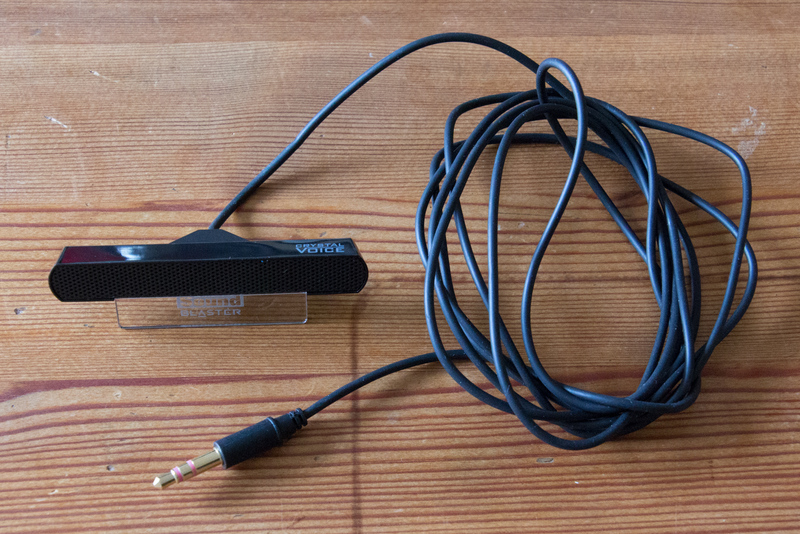 So you don’t need any external switch and the headphones stay turned off when you don’t need them. 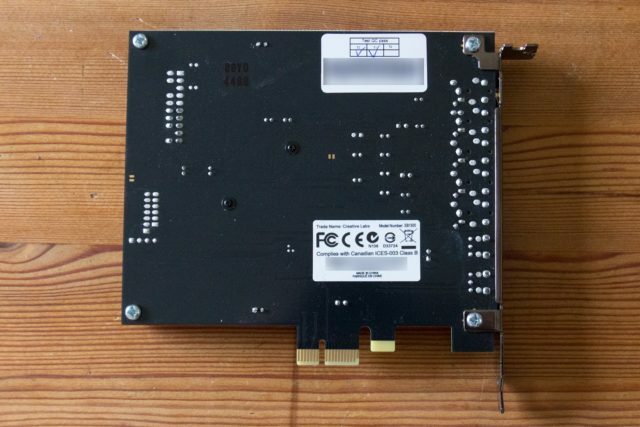 Internally there is an additional connector for HD audio front panels which can be found in some PC cases. 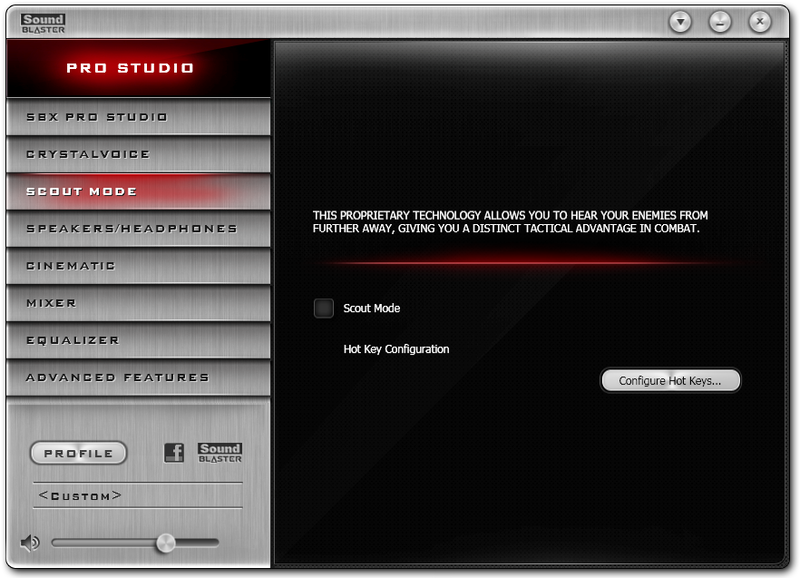 The provided microphone is intended to be used on top of a display and supports an adjustable angle for recording. 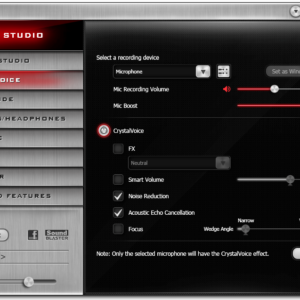 In fact it is a stereo microphone and the software of the sound card will suppress all sound which mostly comes from the left or from the right. The features are mostly provided by the central audio processor. 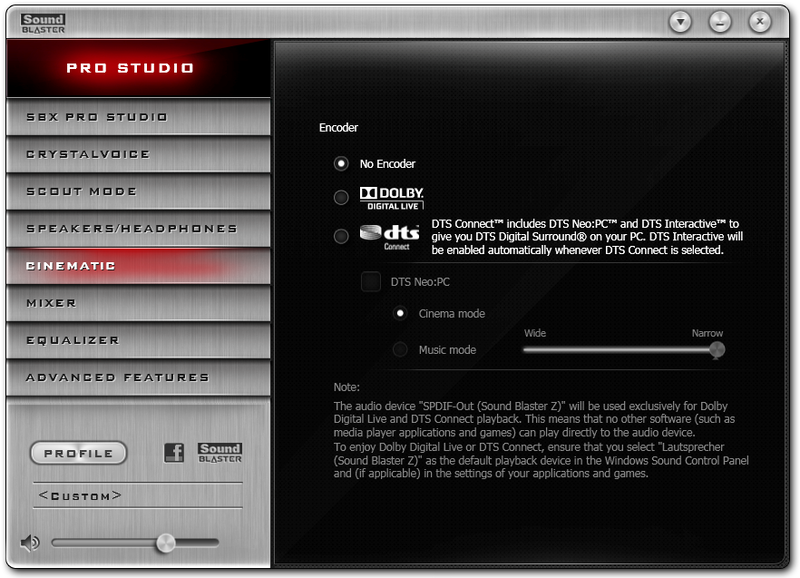 The analogue part is supported by an additional D/A converter by Cirrus Logic which wasn’t used yet in the predecessor “Recon 3D”. This converter is also responsible for the high signal to noise ratio (SNR) which was also lower in the predecessor. 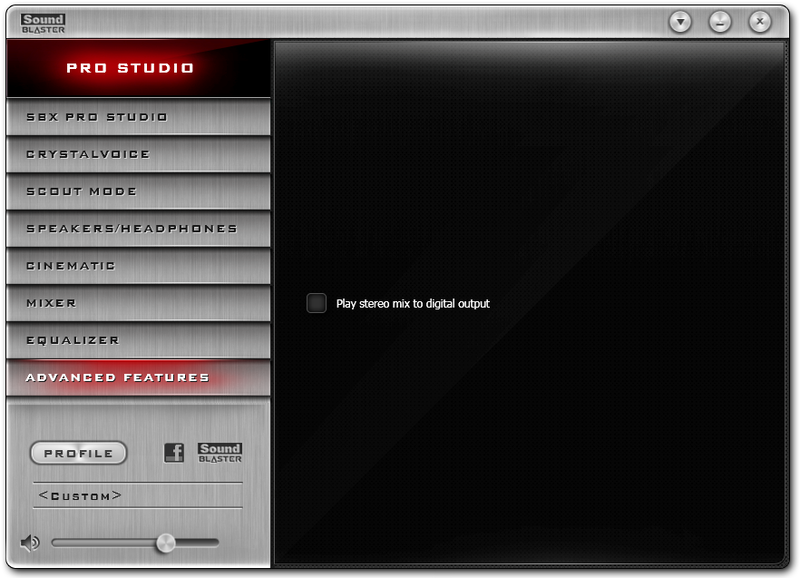 The visual design is mostly “show” and technically not really neccessary. 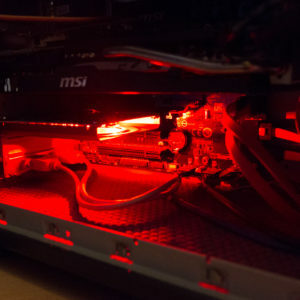 In fact there is also a “bulk” version available which does not have the metal cover and the led lights but provides the same sound quality. The central “Sound Core3D” chip CA0132 is visually also quite unimpressive and visible after removing the square cover. 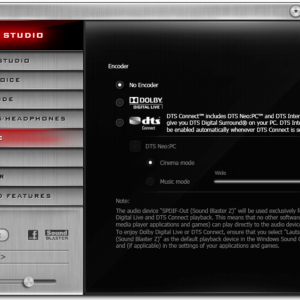 The provided software for Windows is nearly identical to that which came with the “Recon 3D” and was just changed a bit visually and in details for the newer model. 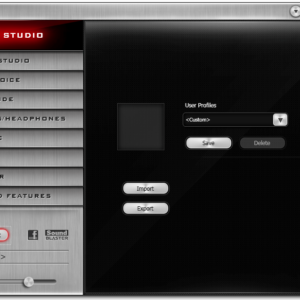 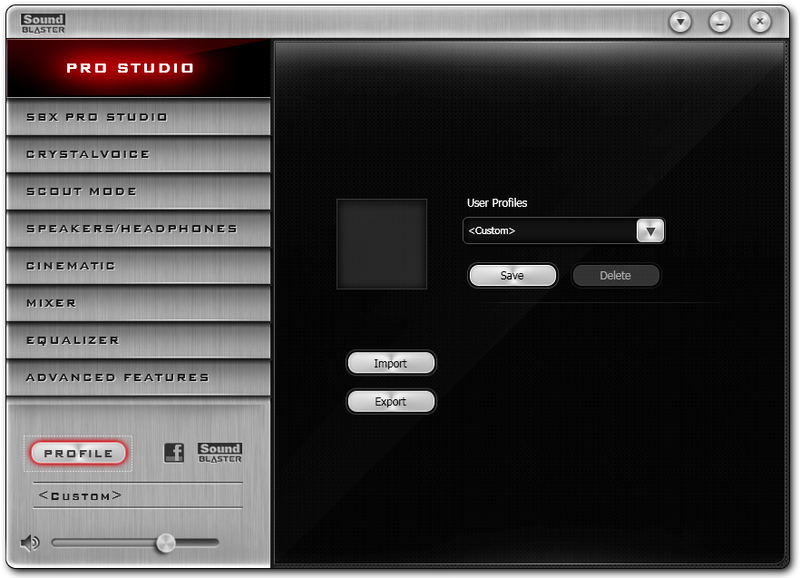 “THX TruStudio Pro” is now called “SBX Pro Studio”. 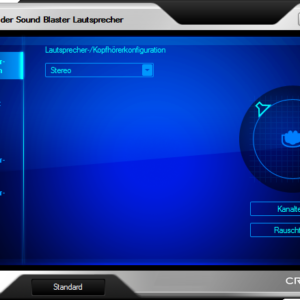 Additionally the THX logo was replaced by the Sound Blaster logo of Creative. 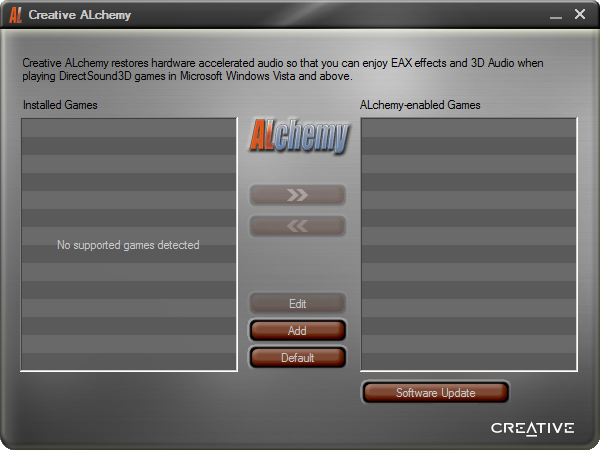 Additionally there is also the tool “Creative ALchemy” again which you can use for older game titles using EAX to provide an emulation using OpenAL. 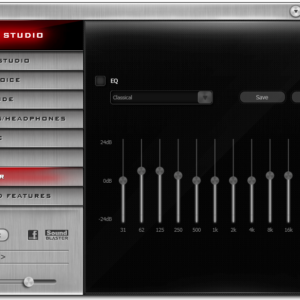 I had some problems using ASIO in ReNoise. 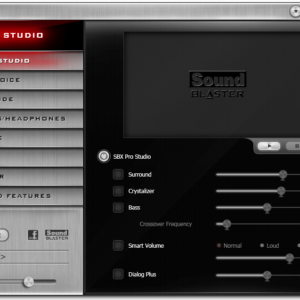 ReNoise recognized the Sound Blaster Z as available ASIO device but then displayed an error message multiple times that the initialization wasn’t possible. As I don’t have any other sotware to compare I can’t tell if the problem is caused by the software of Creative or by ReNoise. 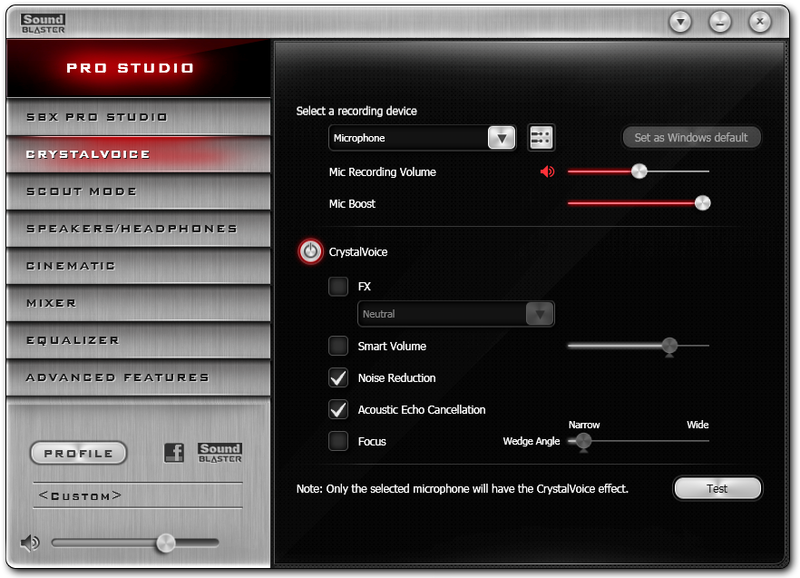 However this is not really a problem since ReNoise works with DirectSound as well without any trouble. 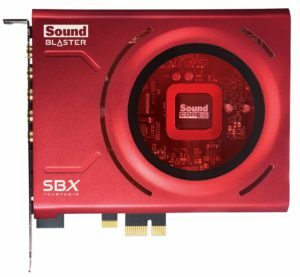 When looking at the technical data of the Sound Blaster Z the expectations for the sound quality are quite high and you won’t be disappointed. 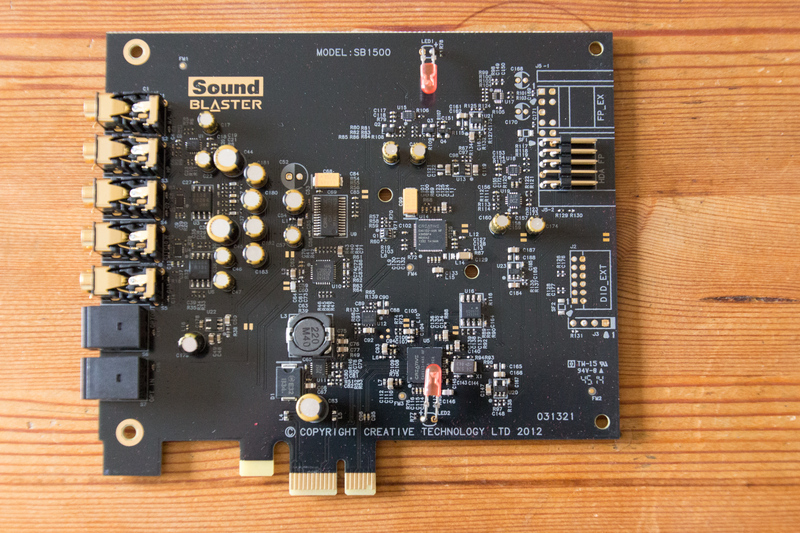 Even at high volume levels you can’t hear background noise as it is often the case with cheap sound cards and onboard solutions. 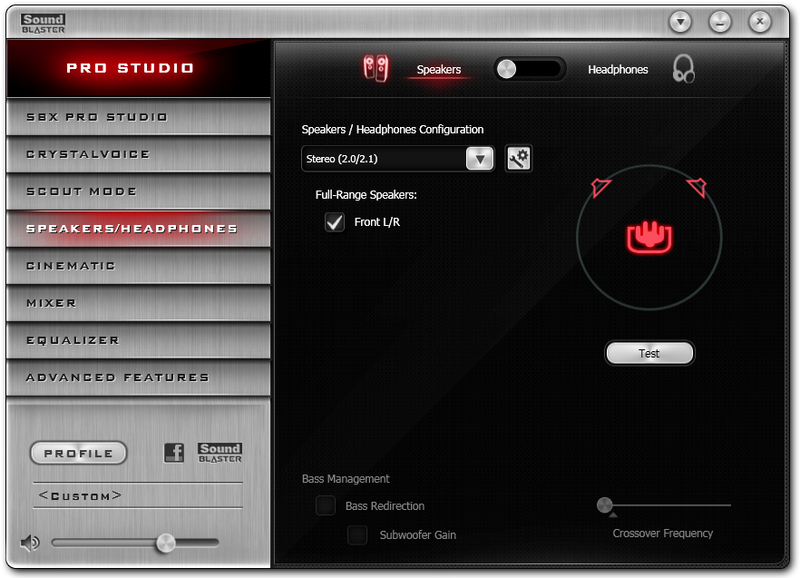 When using headphones the additional amplifier helps a lot. 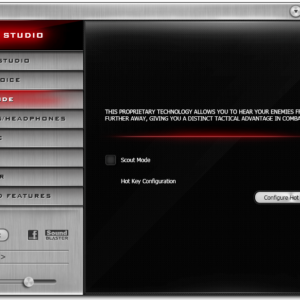 Compared to many onboard audio solutions the sound quality of the Sound Blaster Z is really a significant improvement. 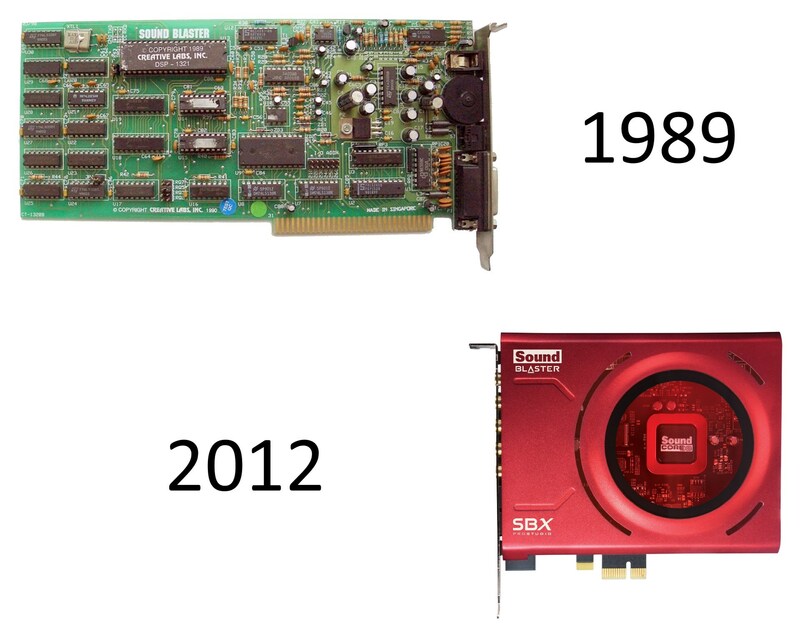 When you follow the development of PC sound cards you notice that there was nearly no major change for internal models over the last couple of years. 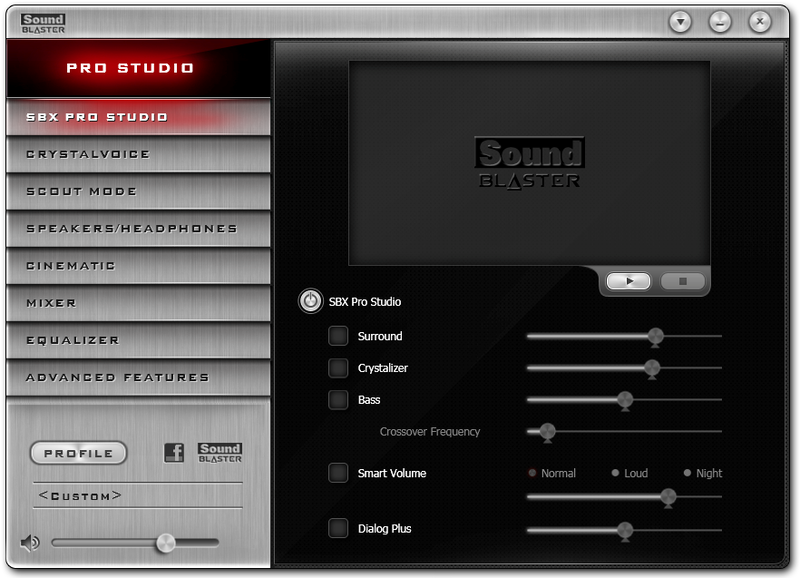 The audio processor which Creative uses in the Sound Blaster Z is already on the market unchanged for more than four years as by the end of 2015 and still being used – which is a really long time for computer technology. 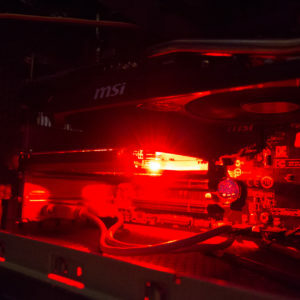 This may also relate to the fact that the creation and processing of audio signals is far less complex than the realistic display of 3D graphics. 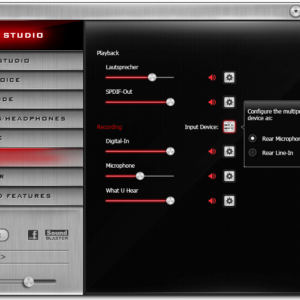 All requirements for audio playback in high quality are technically already met for many years now and the integrated HD audio solution in mainboards is often good enough for many people. 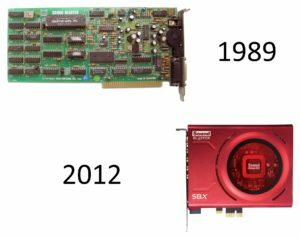 There is also no sign that PCI express will be replaced by another bus system in the future as it happened once with ISA and PCI. 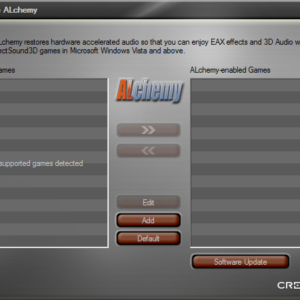 Therefore one can imagine that there will not be any major innovations for internal sound cards but only model upgrades. When taking this into account the name “Sound Blaster Z” fits quite well – with the last letter of the alphabet as a symbol for the final stage of the development.